The Rabobank Venlo JM Gulicktournament is a badmintontournament for advanced youth players, hosted yearly by BC Olympia’56. During this event talent from different countries contends for prizes and glory in the age categories U11, U13, U15 and U17 in singles, doubles and mixed doubles. By participating in our tournament ranking points can be earned for the Junior Master Circuit (JM-circuit). 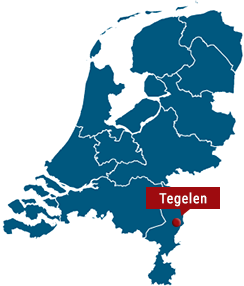 Match information such as scedules, draws and recent changes are published only on toernooi.nl. Our tournament takes places in Sporthal Gulick, located in Tegelen (Limburg, The Netherlands). As we are located close to both the belgian and german border players from different countries find their way to our tournament every year. This provides players with the opportunity to obtain some international experience and leads to surprising match results! The Junior Master Gulicktournament has been hosted by Badmintonclub Olympia’56 for more than 40 years. Because we can always count on a large group of enthousiastic volunteers we have been able to host a high quality tournament where players, parents, coaches and supporters happily come back to every year. To continue to provide a good experience we try to offer good facilities off and on the court. The includes a catering, free physiotherapy and a badmintonshop with stringing-service. Besides the fact that we enjoy hosting this event our goal is to promote the fantastic sport badminton is in our region.